I’ve been using Tackleberry’s RS Magpul Pmag conversions since he started making them. I consider them the benchmark against which all PTW mags should be judged. To start with the basics, next to OEM Systema PTW mags, Pmags are very light and ergonomic with a low profile but effective grip pattern. My lower back used to ache after carting Systema mags around all day, so lighter mags are highly enabling for me, physically – and that was one of the key reasons I thought these were worth the investment. The way Tac’s Pmag has been milled is top notch. 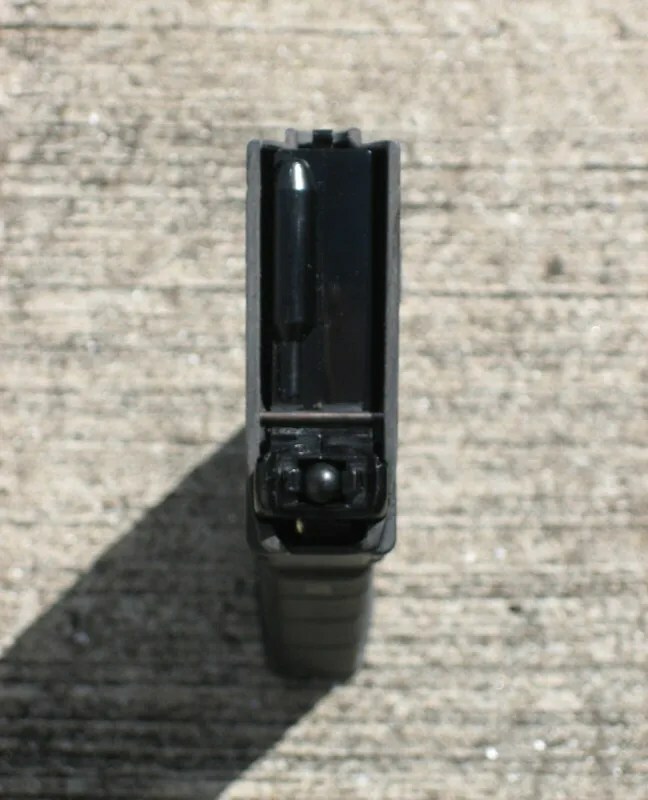 As advertised, the ‘shoulders’ at the business end of the mag are recessed within the Pmag body – there are no cut-outs. This alone separates Tac’s conversions from most of the other RS Pmags I’ve seen to date. The inner sits straight and true – nothing like the off-centredness of the Rampo/FCC version I’ve tried previously; and, of course, the markings are totally authentic. No talk of “Airsoft Use Only” here. The inner can move downwards 2-3mm (the ‘float’), but there is no movement in any other direction. The floating inner ensures the mag’s contact with the hop unit is consistent. 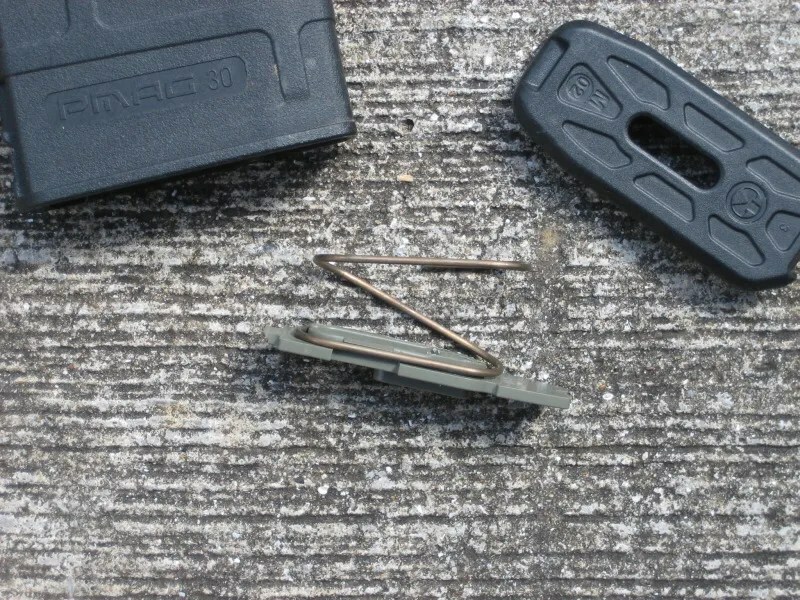 The inner is retained at the top of the mag through interference, by a thin pin. I was concerned, initially, that this pin was a weak point and would not stand the test of time. But in all this time, the pins have remained perfectly robust. The only issue I’ve experienced is that one pin worked its way out slightly and wedged a mag, momentarily, in the magwell. The remaining nine haven’t budged. The float is driven by the original RS follower, which has been milled flat and the spring cut to size. RS Pmags are renowned for their anti-jamming and smooth feeding properties – so if this spring is good enough for real world warfighters, it’s good enough for me. 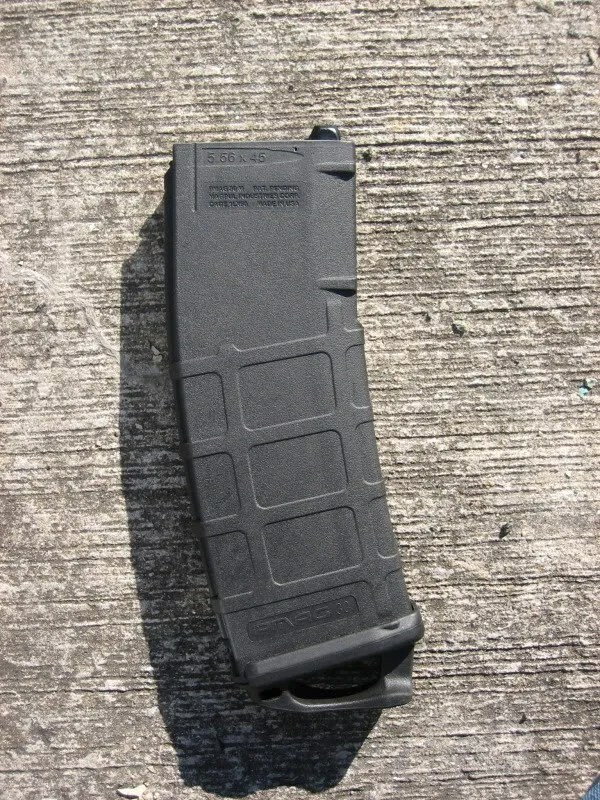 Inserting and withdrawing these mags from pouches feels smoother than the standard mag, with fewer sharp edges and the inner’s cut-off lever is more enclosed. 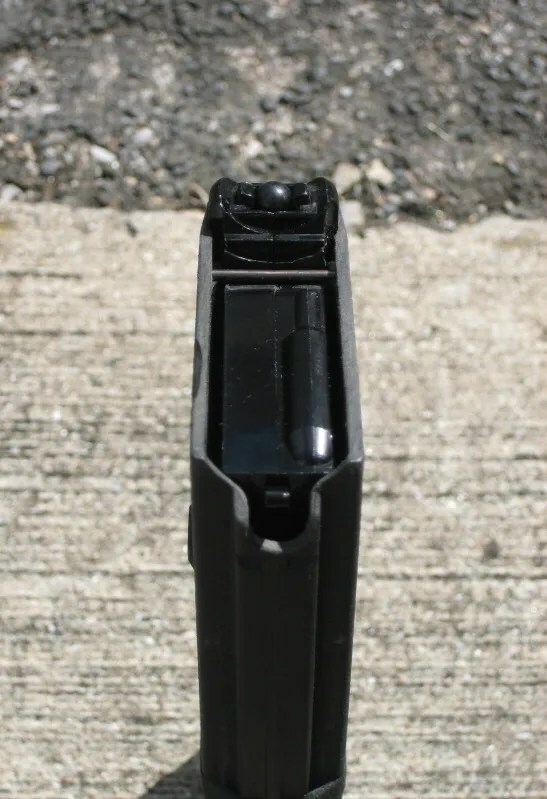 Inserting the mag into the magwell of an OEM lower, there’s a very positive, confident click with none of the wobble of standard Systema mags – which I see as an upgrade, functionally. If you yank the mag around a bit, it will move slightly – but it’s not going to move while running around. No problem with seating – just a solid push and it’s there. With Prime lowers, a slightly different story. 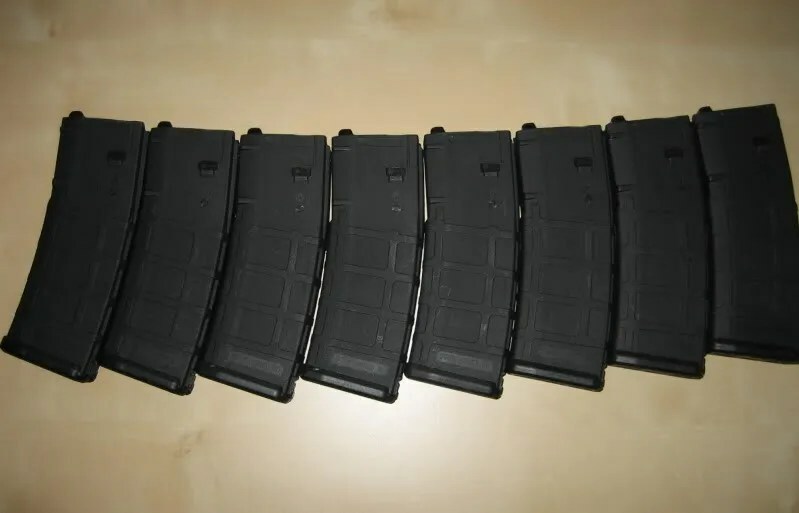 The mags aren’t quite as solid and it’s sometimes necessary to depress the mag release to seat the mag – but a wider mag well is a known Prime tolerance issue, and it’s really not so much of a problem. But the money shot: feeding has been nothing less than perfect. I now rod my mags less frequently (I can’t remember the last time). Given that the feed lips are unlikely to be deformed by the movement of the mag against the hop, rodding has become more superstition than necessity. The downside? The cost! They are expensive, but they last. I’m looking forward to other manufacturers raising their game, to compete with the gold standard represented here. No one has managed it yet.